It rarely happens. However, there are times when iPhone and iPad users, who use email, may encounter an error message similar to “Unable to receive mail” in the native iOS Mail application. This message, what is telling us, is that you can not retrieve new emails or that there is some other problem with the configured email account. This error message appears as a pop-up window. And it generally says something like “Unable to receive mail: connection to server failed”. Sometimes it is accompanied by a message similar to “Enter the password for the email account”. Along with another small message that says “Account error” at the bottom of the iOS mail application. These errors are obviously annoying as they prevent the email from working as expected. In this post, we will try to solve this case, if you are one of the affected. We will give you several alternatives, and tricks. The first thing to do is make sure you have a connection. A good internet connection to check your wi-fi or mobile data. For most of the time it is likely to blame for this failure mail, be a problem – speed Internet access in a simple and temporary internet. To check if you have a good connection or internet access, you can try accessing any social network, or internet website. Another possible failure may be that your authentication credentials have had an error with the mail server. In this case we should see the message “Can not receive mail”. Or “Enter the password for (X email account”). 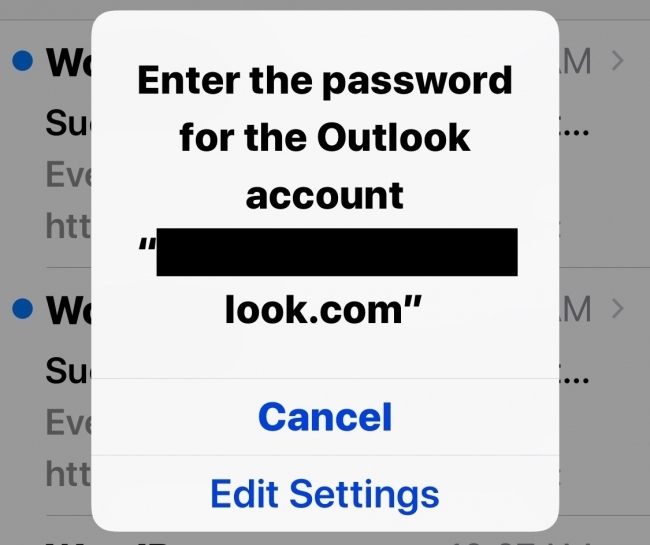 If you see the “Enter the password” screen in the mail application, you will have to go and re-enter your email and password and save this new configuration. 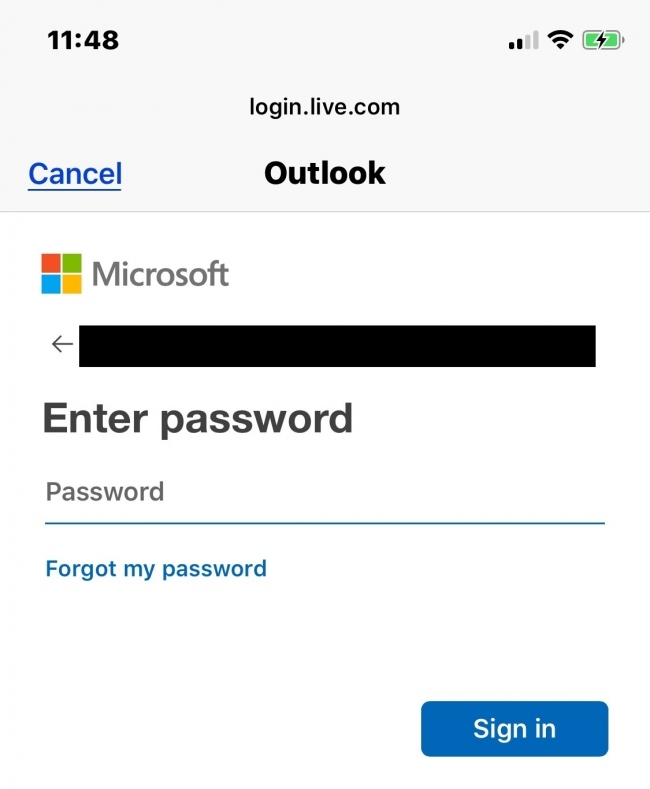 In this example screenshot, we can see how you can re-authenticate with Outlook, and how after entering the password and mail again, everything started working correctly. This point is linked to the previous step, and consists only of confirming that the mail configurations are configured as expected, and everything works. Although it is perhaps the least likely to happen, sometimes email servers may be inactive, either for maintenance reasons, locks, security problems, or any other reason. Therefore, it may be a good idea to check if the email server is really inactive, or has temporary problems. The current and fastest way to check this is to search the news on Google, along with the name of the mail company that interests us, and there we can see if something happens or not. The typical reboot, which we have all done sometime, on an iPhone or iPad can sometimes solve problems. We only need to restart , or turn off and on again the device, and there we can see if it helps us or not. If, after doing the steps, you are sure that the internet connection works correctly and the mail server is not inactive, and that the server has no problems, what you can do is to completely eliminate the account from the device, and wait seconds, and re-enter it. Delete the mail account , you can bring losses, if you have linked the contacts, or notes for example to the mail. In this case it is advisable to make a backup before doing so. Have you found, another solution to these failures? Share it with us in the comments.